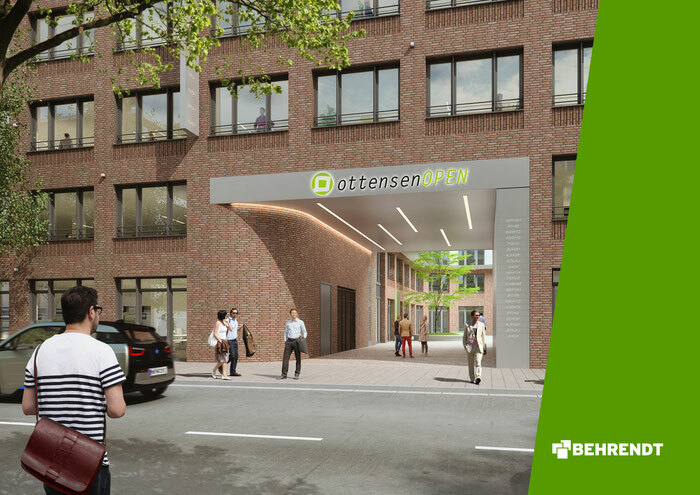 Ein bisschen trauere ich meiner alten Heimat Ottensen ja doch hinterher, umso mehr habe ich mich gefreut als dieser Auftrag von Greendock ins Büro flatterte :) Eine Imagebroschüre für einen schicken Neubau von Behrend Wohnungsbau in Ottensen. You should be a part of a contest for one of the highest quality blogs on the net. I most certainly will recommend this website! If you desire to increase your experience simply keep visiting this site and be updated with the latest news update posted here. Hi there! Do you know if they make any plugins to assist with SEO? I'm trying to get my blog to rank for some targeted keywords but I'm not seeing very good results. If you know of any please share. Thanks! This is a very good tip particularly to those fresh to the blogosphere. Simple but very accurate info� Appreciate your sharing this one. A must read article! I'm really enjoying the design and layout of your website. It's a very easy on the eyes which makes it much more pleasant for me to come here and visit more often. Did you hire out a designer to create your theme? Outstanding work! hey there and thank you for your info � I have definitely picked up anything new from right here. I did however expertise several technical points using this website, since I experienced to reload the website many times previous to I could get it to load correctly. I had been wondering if your web hosting is OK? Not that I'm complaining, but slow loading instances times will sometimes affect your placement in google and could damage your high quality score if ads and marketing with Adwords. Well I'm adding this RSS to my e-mail and can look out for a lot more of your respective fascinating content. Ensure that you update this again very soon. Hi mates, good post and nice urging commented at this place, I am truly enjoying by these.